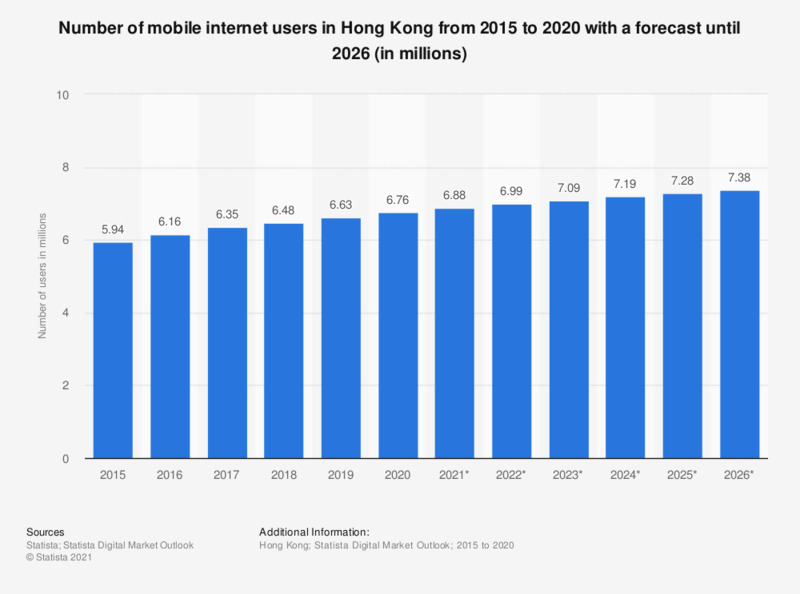 The statistic shows the number of mobile internet users in Hong Kong in 2017 and 2018, with forecasts up to 2023. In 2018, around 5.8 million people accessed the internet through their mobile phone. In 2023, the figure was projected to amount to 6.2 million mobile phone internet users.